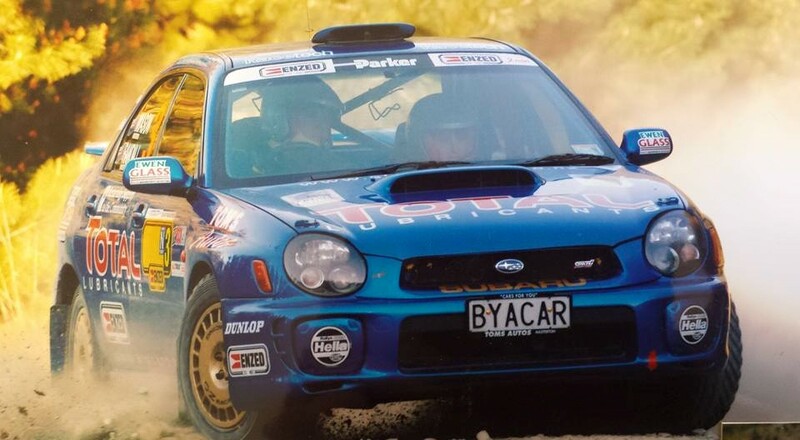 Defending NZRC champs Richard and Sara Mason return to the series at Wairarapa driving the same bugeye Impreza pictured here during their 2005 winning season. 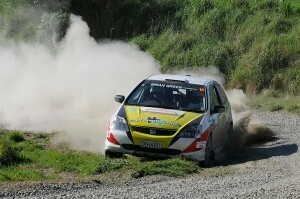 While the battle for the Brian Green Property Group New Zealand Rally Championship in 2015 has seen the sport’s rising stars battling for top honours, the final round, Trusthouse Racetech Rally Wairarapa, will have a distinct retro feel as several top drivers from the 2004 season will once again do battle on the gravel. The 2004 season was the final time the powerful group A cars and more sophisticated group N cars went head to head and the competition was intense. In the end, it was Chris West that would take season honours driving for the Subaru New Zealand Rally team before switching to a long term partnership with Team Ralliart and Andrew Simms Mitsubishi, one that appeared to be over after a big crash at Rally Otago last year. 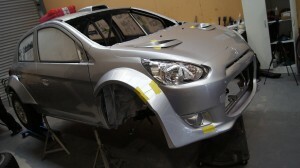 West will return to the stages at Wairarapa after a deal was struck for him to return to wheel, this time in Team Ralliart’s brand new Mitsubishi Mirage Evolution, which will make its debut in the hands of the Timaru-based driver. 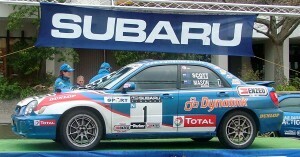 After last season wrapping up a record fifth New Zealand championship on home soil at the Masterton based event, Richard Mason has had to endure the 2015 season from the side lines while searching for sponsorship and will return with the same Subaru Impreza he used for the first time in 2004 before taking the car to his first national title in 2005. With Wairarapa not on the calendar for the 2016 season, it also represents a final opportunity for Mason to take a home victory. One of only two drivers to beat Mason on home turf is Andrew Hawkeswood, who in 2004 took two wins and two second places from the six rounds. 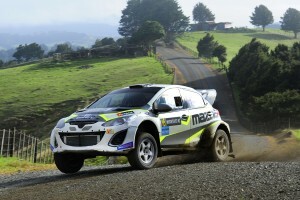 Widely regarded as one of the most spectacular drivers in the country, Hawkeswood took victory in 2008 despite not running amongst the NZRC ranks with his car ineligible and with some recent form in his AP4 Mazda 2, which is likely to be making its final appearance on the event, Hawkeswood will be one to watch. Another driver that will be spectacular is Todd Bawden. 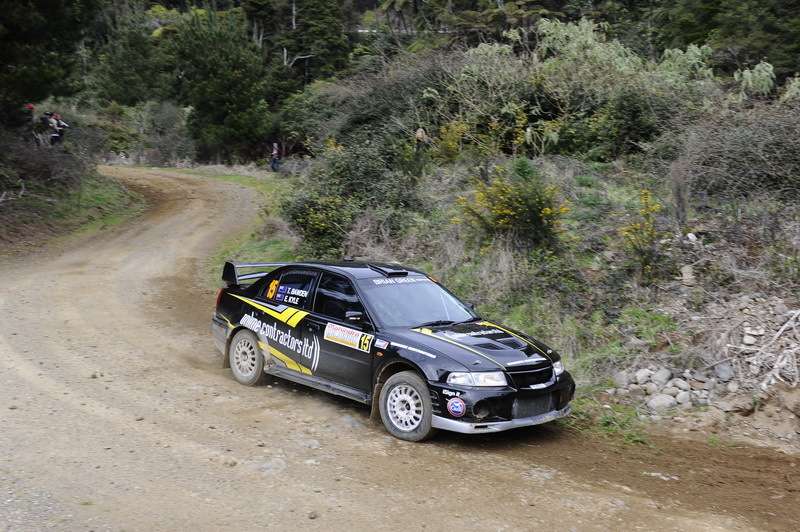 The Hamilton based driver will line up in the same Mitsubishi Evo 6 he ran in 2004, including victory at Rally Hawkes Bay and since making a mid-year comeback to gravel rallying, has certainly set some impressive stage times. Unlike in 2004 when Bawden and West were heated rivals, the pair both will line up out of the Team Ralliart banner for the event. Also returning to 2004 is Dave Strong, who has swapped the four-wheel drive Ford Fiesta he has more commonly been associated with in the past for his trusty Honda Civic and just like he did in 2004, will be aiming to embarrass some of the more powerful four-wheel drive cars. Rallying however doesn’t stand still and despite their combined experience, everyone will be chasing current leader Ben Hunt, who is on the brink of securing his first NZRC title.